To mark the 60th year of the Eurovision Song Contest, Australia has been allowed to join the competition for the first time. Eurovision is incredibly popular in Australia, although the land of Kylie has never previously taken part in the festival of high camp. This also means that there will be 40 countries competing. At the very heart of the Eurovision Song Contest is the importance of bringing countries together to celebrate diversity, music and culture. We have admired and respected SBS’s support of Eurovision for many years now and wanted to extend the invitation for Australia to join us in this special 60th Anniversary of the Contest. It would be remiss of us to throw the world’s biggest party and not invite our Australian friends, who have such a long history and connection with Eurovision. So what are we going to get? Something like Tie me Kangaroo Down Sport or something similar? With a trip to Australia the following year up for grabs I'd say Australia are a sure bet to win it. 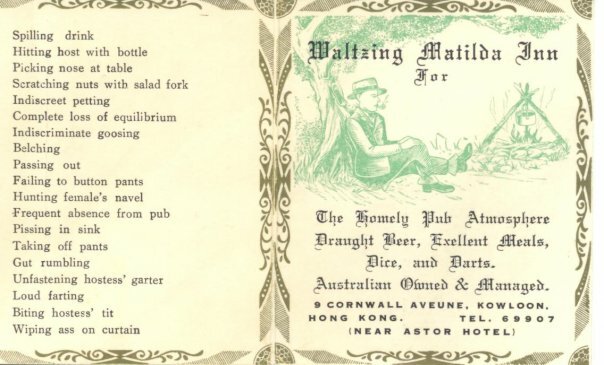 We could even get Waltzing Matilda ringing out. No-one likes us or votes for us anymore anyway. Maybe the Aussies will bung us a few votes - they like us don't they? Mother country and all that. The Song Contests’ popularity initially was credited to Australia’s large European immigrant population; Eurovision providing a moment where the large communities of Greeks, Italians, Turkish, Serbian, Maltese, Irish, etc. could share wonderful moment of nostalgia and national identity. However, by the mid 1990s, the attraction grew into much more – fuelled by second-generation Australians and a younger audience tuning in to listen to the ‘hilarious’ BBC commentary of the infamous Terry Wogan. Due to the high popularity of Wogan over this period, for most Australian viewers the affinity with the British coverage still exists and the views held and discussed in the commentary have created a lasting legacy. When I read the headline I thought it was being scrapped. Oy! Wash your mouth out!!! don't knock it.....its a great reason to drink! Israel is in the Eurovision Song Contest, and I don't think it's in Europe.